British Labour lawmaker Mike Amesbury apologizes for posting anti-Semitic caricature. A senior lawmaker for Labour apologized for sharing on Facebook what he called an anti-Semitic caricature of a hook-nosed Santa Claus. Mike Amesbury, the British party’s shadow secretary for employment, on Tuesday apologized for the caricature, which he posted in 2013 but had initially denied sharing. The Santa figure also features the symbol of the Illuminati, a name given to a number of secret societies that existed in the 18th century and which are often the focus of anti-Semitic conspiracy theories. “This appalling image contains an antisemitic caricature and a reference to the ‘illuminati’ conspiracy theory. I would never have intentionally shared such antisemitic (sic) tropes and I am sincerely sorry that I did,” Amesbury wrote, the Jewish News reported. The apology is the latest development in a three-year saga involving the proliferation of anti-Semitism in Labour since the 2015 election as its leader of Jeremy Corbyn, who has been accused of espousing anti-Semitic ideas himself. Corbyn has denied encouraging or harboring anti-Semitic sentiments, at times vowing to crack down on Labour anti-Semitism and at other times dismissing it as a political ploy to damage the party’s reputation. 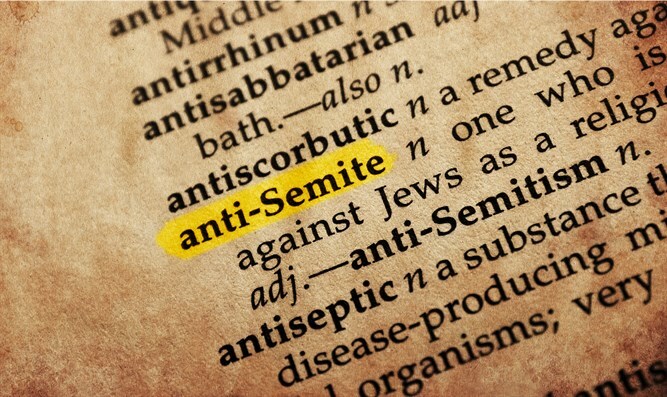 Once the political home of many British Jews, the party has seen thousands of complaints about anti-Semitism to its ethics bodies since 2015.